Drinking Coconut Water as you Traveling India! All over India you can find Coconuts. Everyplace there are carts filled with coconuts that chop off the top of the coconut and serve fresh healthy Coconut Water. Most servers also will carve out the coconut pulp that may satisfy the appetite. While people prefer different flavors of coconut water, generally a green coconut with some age spots is the most popular. Coconuts from various parts of the world also differ in taste. For example, Indian and Pakistani coconuts tend to be sweet while Brazilian coconuts have a mild taste and Bangladeshi coconuts (due to the soil composition) have extremely sweet water and flesh with a very slight salty aftertaste similar to the Indian variety. It is also beneficial in treating kidney and urethral stones. The coconut tree is of the palm family, and is the only species of the genus cocos growing 30 m tall. The coconut is the fruit of this tree. These trees are common in the tropical regions, like in tropical Asia, and Trinidad and Tobago. The fruit as a whole is a very useful one and each and every part of it can be put to some use or the other. 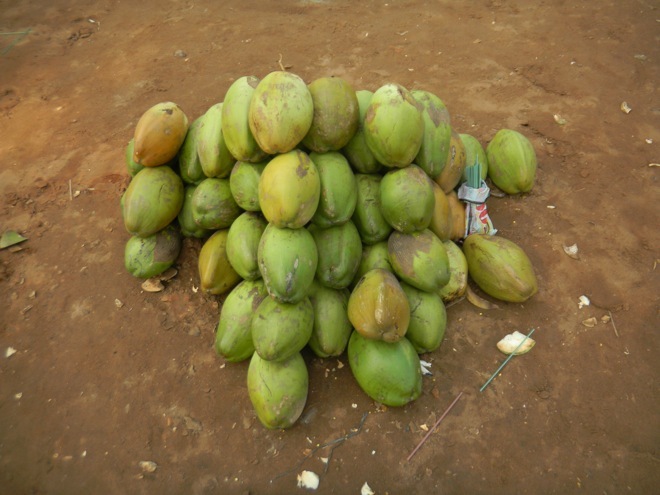 For example, the outer layer of the coconut is a coir is used by many industries to make a variety of products, the water in the raw coconut is a good drink, the seed is used in cooking, and oil is also derived from the nut. An average coconut tree yields about 60 coconuts, whereas some even yield three times this amount. Though it takes up to a year for coconuts to mature, the trees bloom up to thirteen times a year, so the fruit is constantly forming, yielding a continuous harvest all year-round. The name coconut is actually a misnomer for the fruit, as it is not a nut but a drupe, and is the largest seed known to mankind. 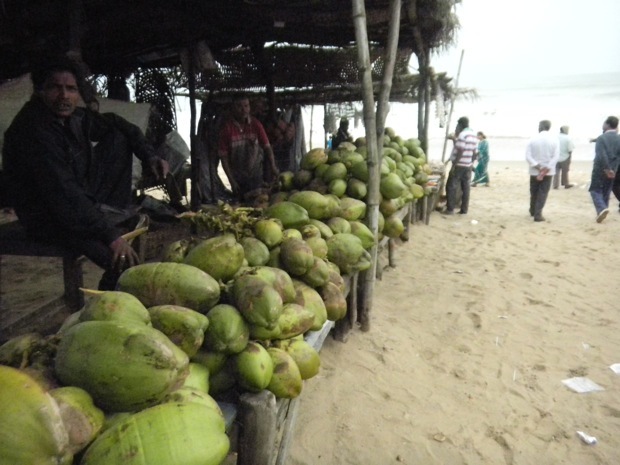 The going price for water from one coconut in India averages between 10 to 15 Rupees.